Article first published in Spirito di Vino Asia Issue #29. 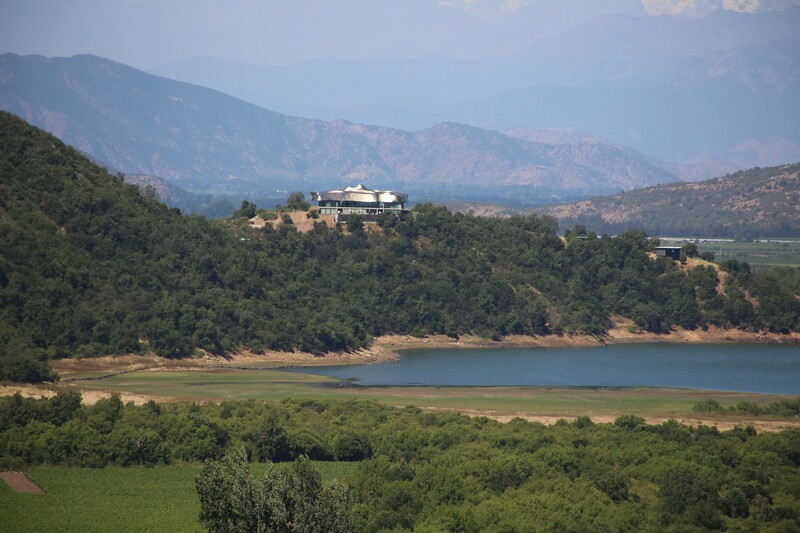 Driving through the winding valleys of Millahue, two hours south of Chile’s capital city Santiago, you will find quite possibly the most luxurious wine tourism offering from Chile to date. Here in a valley framed by the Andes Mountains and the Coastal Ranges, the Pacific Ocean just 60 kilometres away, Alexander and Carrie Vik have created in Viña Vik an enviable sanctuary of tranquillity. The Viña Vik Retreat sits atop a hill in the middle of the valley offering uninterrupted 360-degree views of the surrounding vineyard. 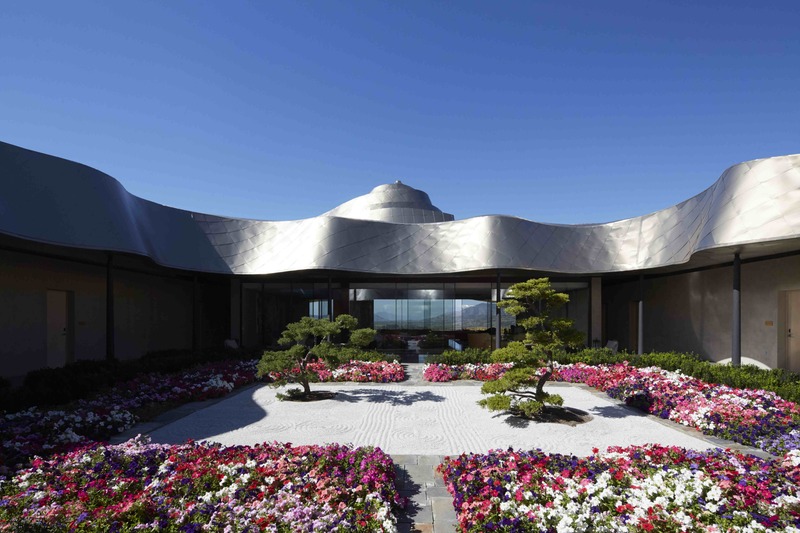 The bronzed titanium roof forms a ribbon-like structure echoing the contours of the nearby hills and mountains. Designed by Uruguayan architect, Marcelo Daglio, the structure calls to mind architectural influences of Frank Gehry as it shimmers in the sunlight, embodying the name of its location – Millahue, in the Mapuche language – or “place of gold”. Driving alongside the vines, the retreat in the distance is mesmerising and the first indication of the luxury within. Guests are greeted in a light-filled open plan room showcasing another great passion of Alexander and Carrie Vik – contemporary art. Breath taking views abound, sweeping out across the valley or inwards towards the central patio garden, a floral tapestry resplendent in pink and purple as it frames perfectly sculpted trees. The 22 suites are decorated with pieces from the Vik personal art collection, each piece selected to complement views over the surrounding vineyard offered by floor to ceiling windows. The retreat also includes a restaurant, spa and infinity pool set in the back of the property, again looking out over the valley. Additionally, guests have access to numerous activities to keep them occupied during their visit including cooking classes, horse riding and cycling as well as a child friendly programme of events as required. Every detail of the Vik Retreat experience is attended to and the holistic philosophy of the winery flows through to the in-house restaurant, Milla Milla. Here, produce for each meal is sourced according to season and locally whenever possible. Future plans include increasing the number of ingredients sourced onsite to ultimately reduce the carbon footprint of the business. The tasting room at Viña Vik. In the vineyard the focus is on working with the land through a range of practises, which include soil studies, sustainable agricultural practises, promoting biodiversity and hand harvesting the grapes for vinification separately in the winery before the final blend is created. A drive around the vineyard reinforces the sustainable approach to land management with beehives located in little pockets of forest and cacti growing amongst native floral and fauna. Once harvested, the grapes are sorted multiple times first manually and then using the latest in technology with an optical sorting machine. This machine allows the winemaker to input optimal grape size and weight measurements for a rigorous sorting process. The VIK wine is based on Cabernet Sauvignon and also includes the Chilean vinous signature of Carménère together with Cabernet Franc, Merlot and Syrah. The velvet texture and complex palate are the final expression of the desire to produce a high quality product in keeping with the ethos of the team. The final touch, so as to personalise the experience, ensures each bottle of VIK is printed with a unique number that when entered to the Viña Vik website provides a library of information about that particular wine. In realising the vision for the winery, the owners hosted a competition in which several top architects submitted potential designs. It was Chilean architect Smiljan Radic, who successfully edged out other contestants to win the contract with a unique structure for the winery. 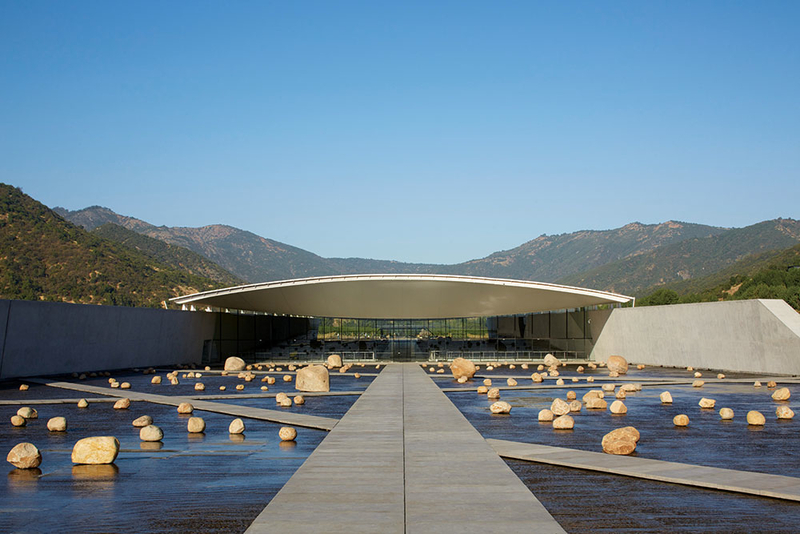 In contrast to the Retreat, which sits atop a hill, the winery is nestled amongst the hills, belying its true size with the way it fits within the contours of the surrounding landscape. Visitors enter through a system of pathways that traverse a landscape of running water. Not only does this appeal to the senses, it provides a practical role in cooling the cellars that are located below. 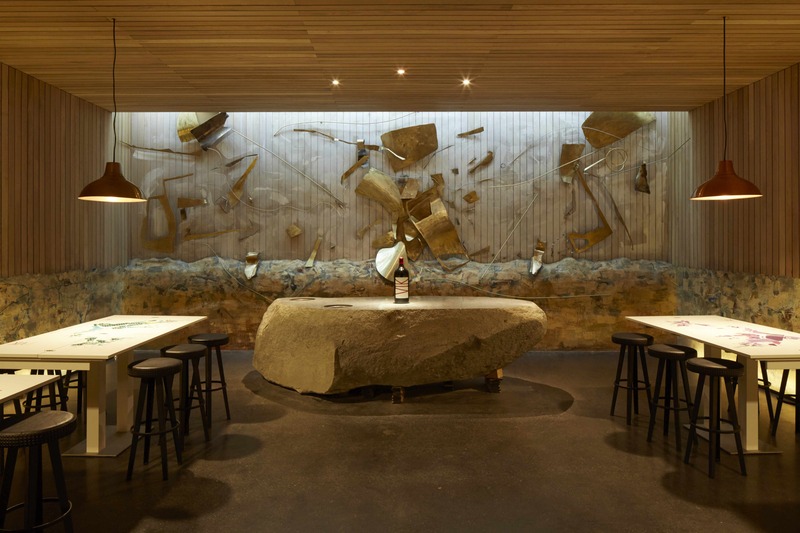 Tastings and a more informal dining experience are offered in the winery building and the space also features installations and sculptures from renowned Chilean artist Marcela Correa. In creating Viña Vik, Alexander and Carrie Vik have placed Millahue well and truly on, if not at the top, of the list of luxury destinations to be found in Chile. All images provided by Viña Vik. Disclaimer: I stayed at Viña Vik as a guest during a press trip with BrandAbout South America. it looks stunning. let’s go! Just took a quick look at my tasting notes – we tasted the 2011 VIK and what I particularly liked about it was the way in which the Carmenere was included in the blend, giving the wine a distinctive Chilean character. I thought the 2011 was balanced with attractive floral notes of rose and violet together with spice, menthol and some oak. Some development aromas and flavours were showing as cigar box and tobacco – definitely a wine made for the long haul. Have you tasted it?